I can't remember picking up Envy to buy, but I have a pretty good idea what attracted me to it initially. The way that the blurb played out, it sounded like it would have a lot of suspense and intrigue. All in all, it looked nice and sinister to my jaded little eyes. In Envy, the reader follows Maris Matherly-Reed, a New York editor who seems to have the perfect life. Working with a plethora of talented writers as part of her job at her father's publishing house, and married to a remarkably handsome and talented man responsible for the creation of her favourite book. Yet when she picks up the prologue of Envy from the slush pile, she finds herself questioning everything she thought she knew as she gets more deeply involved with the story of friendship turned destructive and its mysterious author, Parker Evans. I feel more than a little torn about Envy. On the one hand, there is a lot to be commended. For one thing, the characters are all vividly portrayed and distinct. My personal favourite was Parker, but that may just be because I have a real soft spot for curmudgeonly characters with a heart of gold, regardless of how tarnished that gold is. The plot is also written in such a way that it keeps the tension high throughout, which is probably the main thing that saves the plot of Envy from sinking under its main problem. My main issue with the book that leaves me torn is that I had guessed the basic structure of the plot probably around the point that I finished the third or fourth chapter. Admittedly, my predictions about the finer points of the conclusion were a bit off, but having guessed the general shape of the plot so early, it was difficult to keep feeling quite as tense as I had hoped. 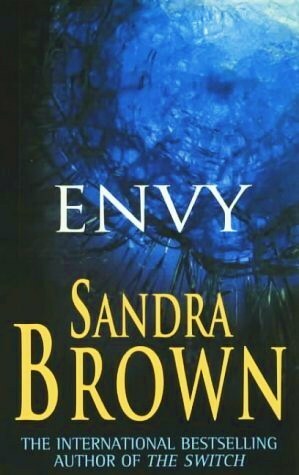 So while I feel justified in saying that I found Envy to be a highly enjoyable book, I find myself wondering if it actually works as a thriller, simply because of the demands of the genre. If your genre dictates that you need to create suspense by introducing threat while withholding crucial plot information, then I don't think that this works terribly well, simply because it's almost painfully easy to figure out what the likely outcome of these circumstances are. While I wasn't expecting certain particulars of the finale itself, I don't think that works in its favour either, because the information withheld from the audience feels kind of cheap compared with the twists that had come earlier, predictable as they may have been. So yeah, I have a weird situation where the novel doesn't work as a thriller right up until the very end, at which point it stops ringing entirely true. I will say that despite the shortcomings, I did enjoy the experience and would probably read it again if I were looking for some high quality popcorn reading.